As a metal furniture and wire shelving storage system producer, consultant and installer, Dongguan Simply has been in the development of metal storage and handling equipment systems more than 12 years. The company’s head office and main factory are located in Dongguan city, while production branch in Shenzhen city, Guangdong Province, China. Our main products are wire shelving, work table, storage shelf, wire cart , display rack which are widely used in household, logistics ,catering, medicine, food and business exhibition field . Our products had been exported to more than 30 countries and regions around the world. And in china domestic our items include Foxconn , BYD and Huawei etc. Being professional & responsible , we believe that you will benefit from our cooperation. Simply history begins in 1998, was launched by Mr. Zeng Ping , with a capital investment of $30,000.00. With only 12 workers at the beginning, the initial business scope: Metal product processing. Export sales dept. launched, with export sales volume raising, quality became essential, automatic & semi-automatic welding machines, automatic punching machines, metal wire cutting machines, wire and tube bending machines,polishing machine were introduced. Meanwhile also invested on testing machines, such as salty spray testing machine, loading test machines etc. 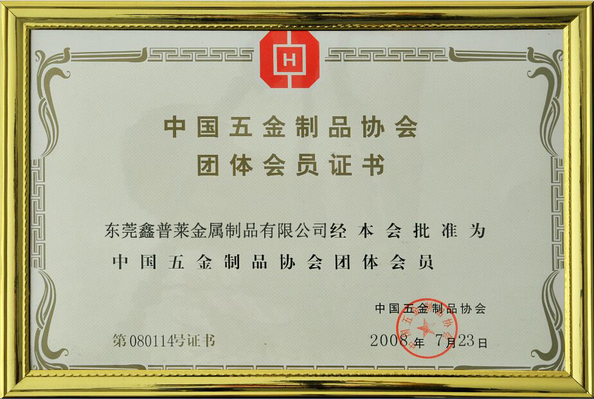 2012 became memeber of "Guangdong Association of metal products"